Dec. 30, 2011 — A woman’s children find her lying on the living room floor, with duct tape over her mouth. She was already dead. © 2011 by The York Daily Record/Sunday News. 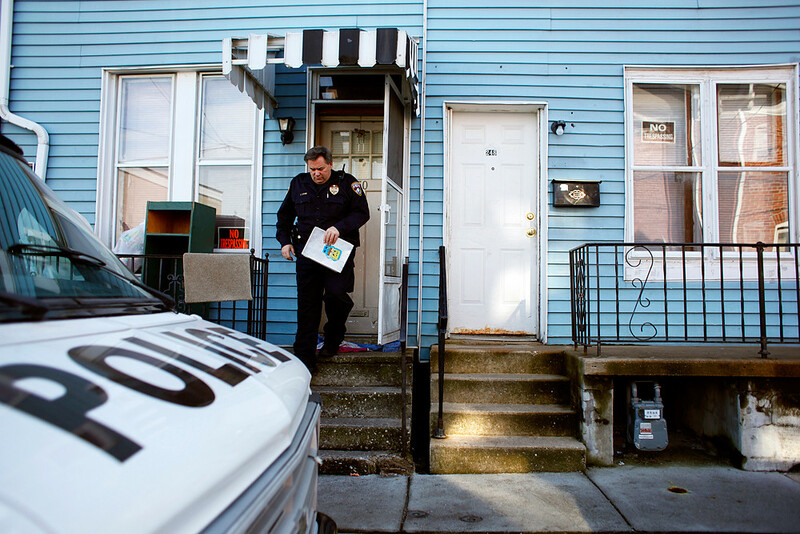 A York City police officer exits a home in the 200th block of Liberty Court, where the body of Anaida Rivera was found by her children on Friday, Dec. 30, 2011, in the living room of their home. © 2011 by The York Daily Record/Sunday News. 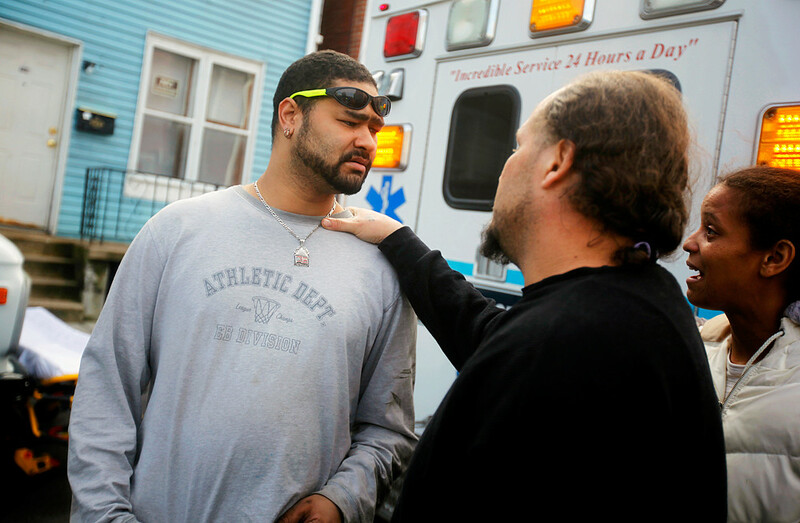 Neighbors inform Joseph Rodriguez, of York, left, of the death of Anaida Rivera on Friday, Dec. 30, 2011, outside her home on the 200th block of Liberty Courty in the city. Rodriguez said Rivera was his daughter's mother, that he was swinging by her home to pick up his daughter and that he had not heard of Rivera's death before he arrived. Dec. 31, 2011 — Anaida Rivera’s death is ruled a homicide. Jan. 6, 2012 — Four men are arraigned on charges of criminal homicide, burglary, robbery and conspiracy. One of the men tells police they had taken jewelry and $80 in cash. © 2011 by The York Daily Record/Sunday News. 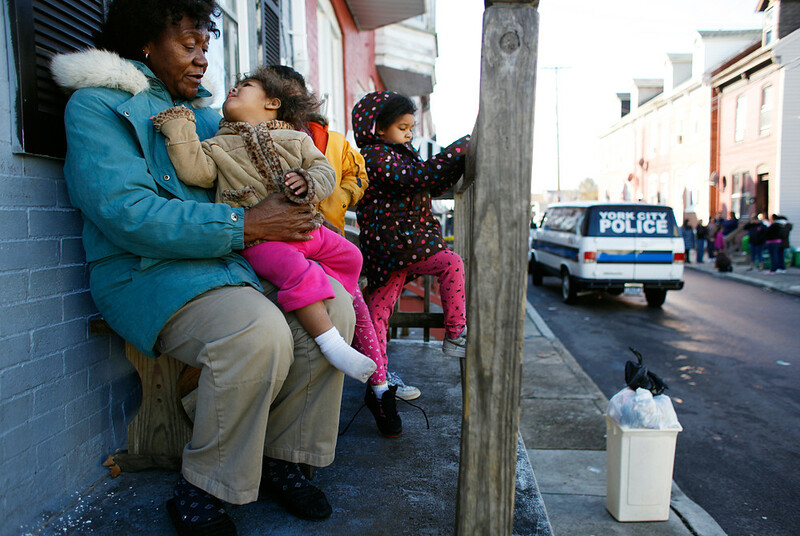 Ruth Kennedy holds her great-granddaughter Daymaya Peoples, 19 months, as her other great-granddaughters N'elossia Kennedy, 7, and Unique Williams, 5, stay with her on the porch on the 200th block of Liberty Court, as police investigate a homicide in a nearby home.